The Lacs team with Montgomery Gentry for this one. There are a few interesting things going on with this one. To start, I like it. 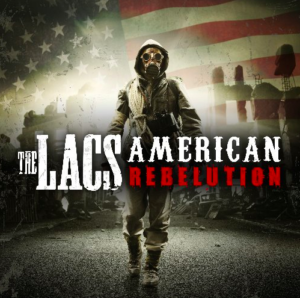 The Lacs have been around awhile. And they’ve been putting out new music at a really solid pace. They haven’t been taking their time waiting for things to happen. They’ve been out there making it happen and winning over fans. They’re part of the Average Joes label group. They have been for a few years. Their style of country is different. They bring a little hip hop and rap to the music. That’s not for everyone, but it seems that they’re slowing winning more and more fans. And we have Montgomery Gentry on this one! The guys are back with Average Joes after a few years and should have more music of their own later this year. You know what? This song might be a little cliche with the lyrics, but it works for me. The melody is good. There are plenty of hooks or little catchy parts that get stuck in your head. I think it’s just meant to be a fun song and video that country fans will like. It’s pretty cool to see The Lacs working with Montgomery Gentry. I know The Lacs have worked with a number of artists over the years, but this one seems to work really well. This one probably won’t find a home on regular country radio, but I know it’ll find a home with fans of The Lacs and with a few other country fans. I like it.